Small status update, as lots of real life work made me not have enough time to paint almost anything. I am also selling and gifting a few boardgames and RPG books so I've been quite busy not in the areas I'd liked to (regarding this blog, of course). 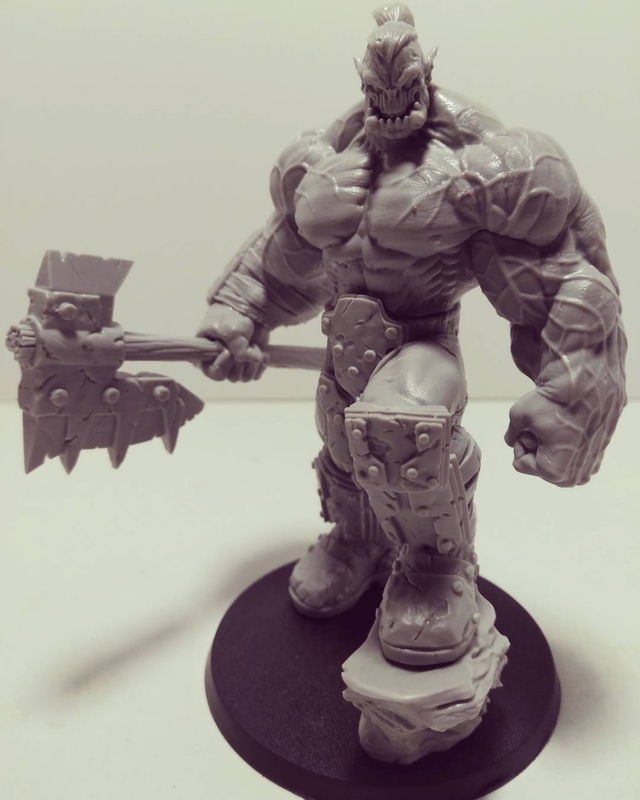 What I have done is received and assembled this gorgeous ork champion from GT Studio Creations, which I backed on Kickstarter for the 70mm model. It is so awesome and full of detail... I'm really glad I made that choice, even despite my crappy painting skills the model is going to look amazing, it already does unpainted! Sadly, apart from that there's not much to speak about... I'm reading some books and comics but haven't finished anything that I can review yet, but at least October looks more promising regarding spare time in the afternoons (or nights).